Review: 5* A great page turner. 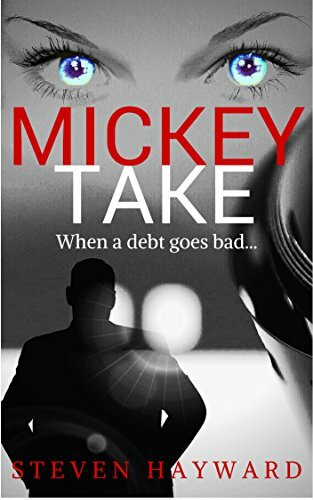 Mickey’s wife has left him and he’s been fired from a good job as a city banker so he feels he has lost everything and doesn’t know how to move forward. Herb, a friend from his youth gets in touch and wants him to do a job for him. Herb has something over Mickey. With the void in his life, Mickey almost becomes an insecure teenager again as gets sucked into a world of crime. This is a complex book and clever on many levels with a lot of twists and turns. I had no idea where it was going. The first person narrative works brilliantly as the reader follows the story through Mickey’s eyes and only knows as much as he does. Throughout the novel there are snippets from The Watcher’s perspective, which creates a dreadful sense of threat and foreboding as the implication from early on is that the watcher is capable of hideous crimes. I liked the character of Mickey who is very upbeat and tells it like it is. Mickey’s real flaw is that he is too trusting and easily led by those around him and because of that he is quite vulnerable.